With Twice Upon a Time having re-introduced us to the Doctor’s original incarnation, the DWCA Book Club is celebrating First Doctor Fever with our next text: Doctor Who in an Exciting Adventure with the Daleks. 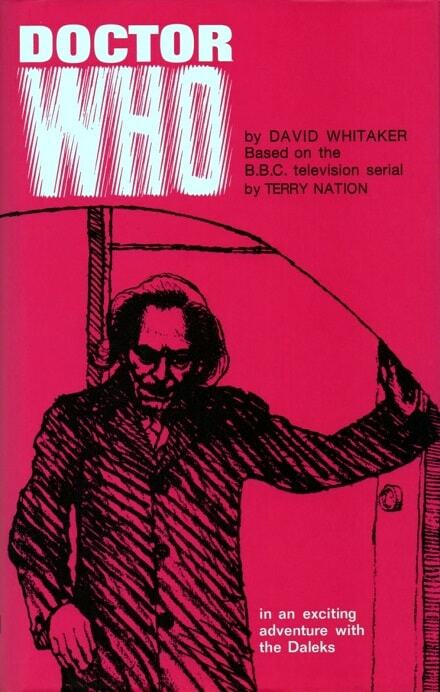 Also known as Doctor Who and the Daleks, this novel by David Whitaker was the first Doctor Who novelisation and, indeed, the first Doctor Who novel of any kind. It is based on the Daleks’ debut television appearance, with additional material based on An Unearthly Child – the first ever episode of the programme. The book has been republished several times since its first edition in 1965, most famously in 1973 by Target Books – with strong sales resulting in Target releasing novelisations for the vast majority of classic series stories. More recently, BBC Books launched a Target-style paperback edition in 2011 and a retro hardback edition in 2016. If you’d like to share your thoughts on the book, you are invited to come along to our Book Club meeting on Friday 2 February, where discussion will be recorded for the official DWCA Book Club podcast. You can also comment on our Facebook page if you can’t make the event. Do you consider yourself something of an amateur critic? Send us a written review of the current Book Club text, and your words just may end up published in our club fanzine, Data Extract. What’s more, you will go into the running to win a $5 voucher to spend at the DWCA Shop! Reviews should be sent to Dom Kelly at fsq@doctorwhoaustralia.org.